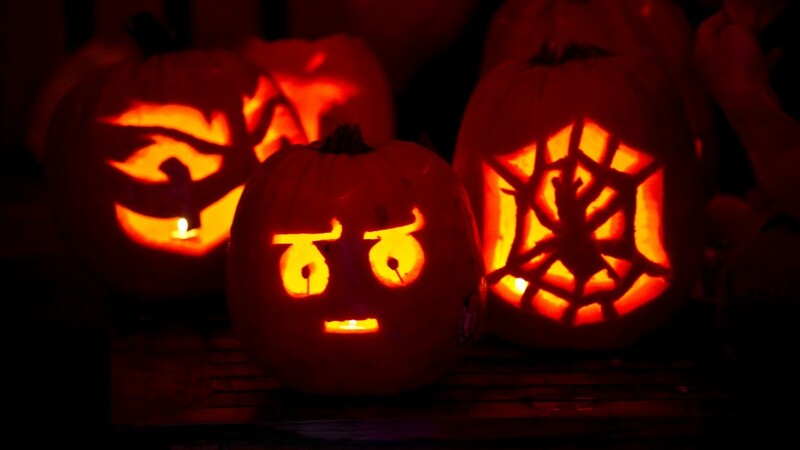 So far this month, it's been more Shocktober than Rocktober for stocks. The Dow, S&P 500 and Nasdaq plunged again Tuesday and are down about 2% during the first few trading days of October -- despite the big rally Friday following the jobs report. Will stocks continue to slide for the rest of the month? October is notorious for some of the worst market crashes in history. Whether or not we get another one will all depend on corporate earnings. KFC and Taco Bell owner Yum! Brands (YUM) kicked off things Tuesday after the closing bell. It's the first major company to report results for the third quarter. Earnings and sales missed forecasts. Costco (COST) reported better than expected results before the opening bell Wednesday while Monsanto (MON) posted earnings that were below estimates. Alcoa (AA) is due to release its earnings on Wednesday. Pepsi (PEP) will report earnings on Thursday. Corporate America needs to deliver strong results to make investors forget about Ebola, ISIS and signs of economic weakness in Europe and China. 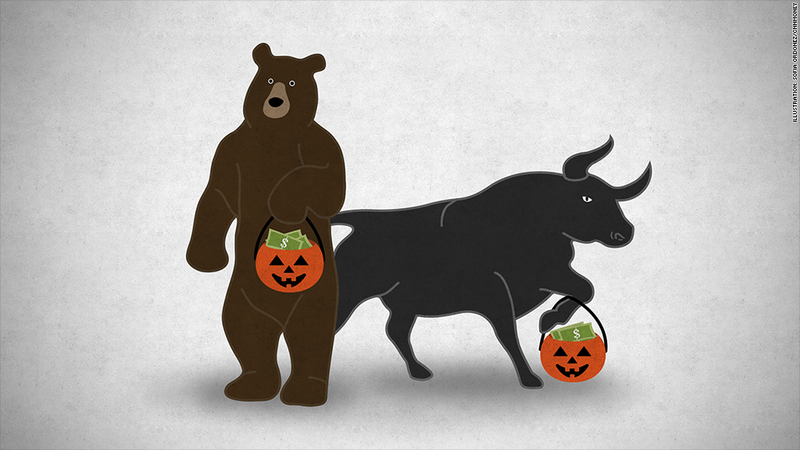 Market bears are getting lots of treats as stocks fall. The bulls are stuck with rocks. Is the earnings glass half full or half empty? The good news is that expectations are pretty low. According to estimates from FactSet Research, analysts are only expecting earnings growth of 4.6% for companies in the S&P 500 during the third quarter. That's not a pie-in-the-sky estimate. The equity research team at Morgan Stanley wrote in a report Tuesday that they think companies will "once again clear the lowered bar" for earnings. They pointed to better-than-expected results from FedEx (FDX), Adobe (ADBE) and homebuilder Lennar (LEN) last month as a positive sign. But there's a reason the bar may be so easy to limbo under. It's because analysts aren't as optimistic as they were just a few months ago. Analysts had originally expected earnings growth of 9% for the third quarter back in August, according to FactSet. It may be tough to justify why stocks should head that much higher from current levels given that the estimated earnings growth rate for the quarter has been nearly cut in half. One expert thinks companies also have to show that their profits are going up because of revenue growth -- higher demand for their products and services. It's not enough to just have cost cutting from mergers and layoffs as well as stock buybacks boosting earnings through lower share counts. Sales are expected to increase in the quarter. But the 3.6% growth rate is lower than the growth rate for earnings. "We are at the stage of the recovery where organic earnings matter. Financial engineering, not so much," wrote Tom Stringfellow, president and chief investment officer of Frost Investment Advisors in a report Tuesday. Blame it on Bank of America. It is worth noting that one company's legal troubles from the past should drag down profits for the S&P 500 -- and the financial sector in particular. Bank of America (BAC) announced a long-awaited settlement with the Department of Justice in late August: it will pay $16.65 billion to put issues related to bad mortgage-backed securities behind it. As a result of the settlement, BofA is now expected to report a loss of 9 cents a share for the third quarter. Analysts had been expecting a profit of 32 cents at the start of August. If you exclude Bank of America's loss, earnings for the financial sector are expected to rise nearly 19%. With BofA, the growth rate drops all the way to 10.5%. The financial sector isn't the only one where growth rates are being affected by big changes from just one company. The telecom sector is expected to report the highest level of growth of any sector in the third quarter ... but it's solely due to strong numbers from Verizon (VZ). Take out Verizon and telecoms would be reporting a decline in profits. It's all about the guidance ... and the dollar. While third-quarter results matter, investors will pay even closer attention to earnings outlooks for the fourth quarter. If businesses are bullish about the last few months of the year, then that could lead to a typical fourth quarter market surge. But if companies are less optimistic, this recent sell-off could finally mushroom into a full-blown correction -- a drop of 10% from the highs. What could cause companies to lower their outlooks? Continued economic weakness in Europe and a stronger dollar -- which are opposite sides of the same coin. The surge in the greenback makes it tougher for U.S. companies to make money overseas as foreign sales made in weaker currencies get translated back to dollars for reporting purposes. It also makes the cost of U.S.-made products more expensive for Europeans given how weak the euro is versus the dollar. Christine Short, senior vice president of Estimize, a site that uses crowdsourcing to come up with earnings and revenue estimates, said the dollar should not be a problem for third quarter results, but that it will be a big wild card going forward. "Any company that blames the weak dollar for the third quarter may be bluffing a bit. It might be the new bad weather excuse," Short said. "But it could have an impact for the fourth quarter." OK Computer: A quick shout-out to a Twitter follower who won one of my latest silly Name That Tune challenges. Our story on the International Monetary Fund cutting its global economic outlook inspired me to tweet this song lyric. "It's just business, cattle prods & the IMF." A Twitter follower going by the handle of @spilknight wins for correctly identifying the song as "Electioneering" by Radiohead. Congrats! You are, as your Twitter bio claims, "an experiment in awesome." And another line from "Electioneering" is an apt description of this volatile market. "When I go forwards, you go backwards. And somewhere we will meet."